Dairy Queen has expanded the availability of their $5 Buck Lunch deal so that it is now available all day long at participating locations. The deal was previously only available from 11 AM to 4 PM. 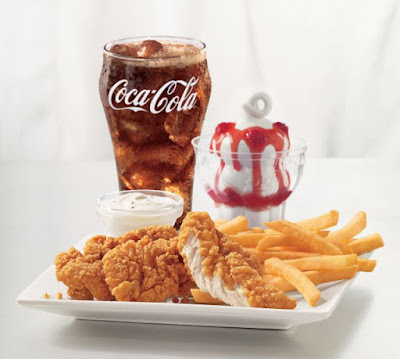 The $5 Buck Lunch was first introduced back in 2013 and offers a choice of a 3-piece order of chicken strips or Deluxe Cheeseburger plus fries, a 21-oz drink, and sundae. This marks the second time that Dairy Queen has offered the combo deal all day but this time around it looks to stay indefinitely.